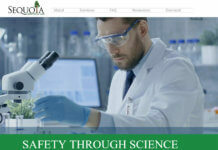 You would think that anyone primarily researching cannabis will have plenty of hands on experimentation. Not the case with Dr. Raphael Mechoulam, long time marijuana scientist, cannabis virgin and sober activist. Dr. Mechoulam was born in 1930 where his family escaped Bulgaria from the Nazi army. Planting roots in Israel Raphael has been studying marijuana since the 60’s but has yet to inhale. 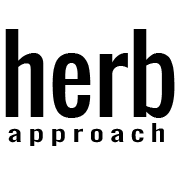 In an interview with Culture magazine Dr. Mechoulam told reporters his interest piqued for cannabis in the medicinal field while studying medicinal chemistry at Hebrew University of Jerusalem. He then went on to be a professor and continued his studies within the medicinal marijuana field. Who knows what could have happened if he had dipped into his work stash and had the program shut down. Mechoulam was thrown in hot water when a police chief allowed him to use hash 5 pounds of hash for his experiments. In 1964 marijuana was most definitely still illegal in Israel. To make the story even sweeter he then proceeded to take his pounds of hash on the bus to take back the lab. Looking back that bus must have smelt like a Marc Emery car ride. His documentary ” The Scientist ” follows his life and focuses on his important research in field of medicinal cannabis. He later went on to discover that THC influences the ECS (endocannabinoid system), our bodies largest receptor system. Allowing the medications to interact with our body so well. Our brains basically create our own Cannabis. Anandamide is naturally occuring and is the sanskrit term for Ananda, or bliss. It really is being high on life. 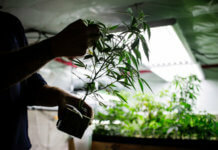 Israel is becoming the Medical Cannabis Epicentre. 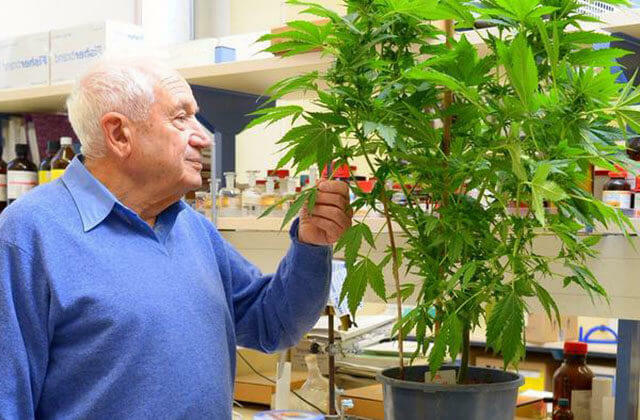 Mechoulam’s pioneering work has led to Israel becoming a medical cannabis haven. Without his work who knows where our knowledge on marijuana would be. 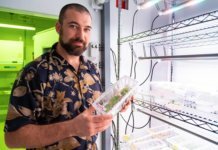 As a consultant for the Israeli Ministry of healths Medical Cannabis Unit isn’t necessarily retired as an activist and scientist, but he no longer works in the field. Israel has granted almost 30 thousand medical marijuana licenses for patients. While the substance has been decriminalized for everyone else. Forward thinking that more countries can greatly benefit from.